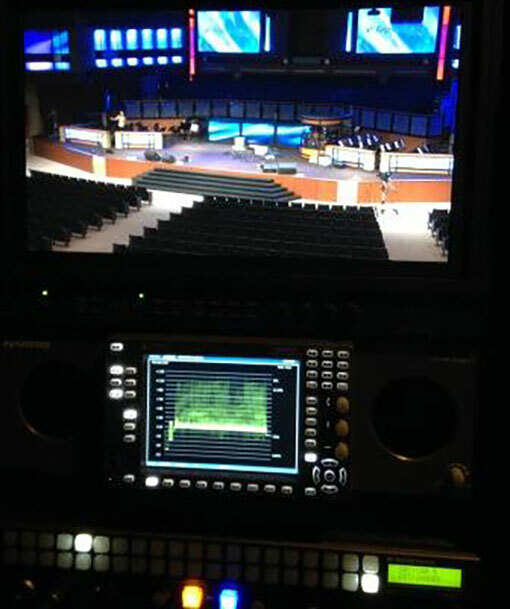 CTG was asked to upgrade the video ministry control room to a High Definition system. This upgrade took place during the time when the Sanctuary was going through a remodel. 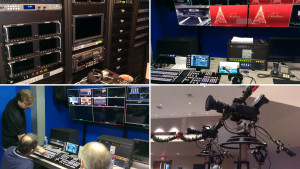 Manufacturer partners included Clearcom, Panasonic, Fujinon, Crestron, AJA, Biamp, Ikegami, Samsung, Marshall, Middle Atlantic, Marco, Ensemble Designs, ADC, iMAG, and Ross.